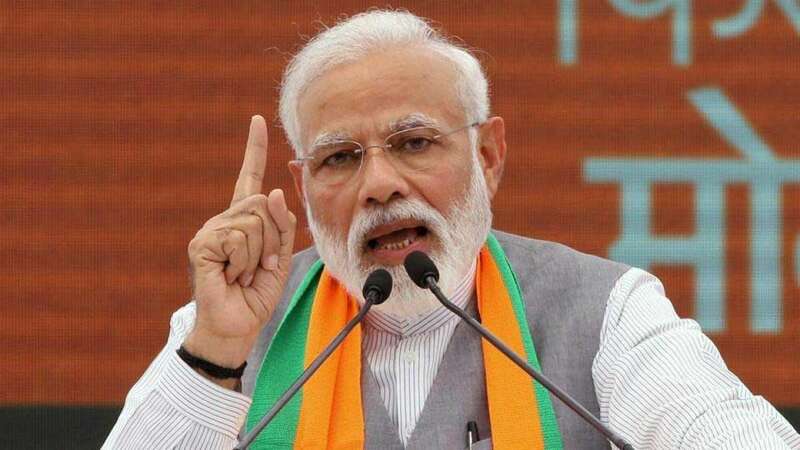 Mumbai : Prime Minister Narendra Modi on Tuesday attacked Congress over Income Tax raids in Madhya Pradesh, alleging that 'corruption' is a 'principal character of the Congress. Addressing an election rally in Maharashtra, PM Modi said, "They have been saying ‘chowkidar chor hai’ for six months but see where bundles of note are being recovered from. Who is scared of chowkidar? If so much money is being recovered, it is natural for them to abuse this chowkidar." He was replying to Congress' trademark dialogue - ‘chowkidar chor hai’ (watchman is a thief). The Income Tax department has detected a “widespread and well-organised” racket of collection of unaccounted cash of about Rs 281 crore during raids against close associates of Madhya Pradesh Chief Minister Kamal Nath and others. A little before the prime minister cited IT raids at the poll rally, the Election Commission called the revenue secretary and chairman of the CBDT to discuss ongoing income tax raids amid allegations by the Congress that the ruling BJP is using enforcement agencies to target it ahead of the Lok Sabha elections, voting in the first phase for which will be held on April 11.